Finding the right gift for that police officer in your life can be hard. Most police departments try to make sure their officers have everything they could possibly need to do their jobs, but there are still plenty of gadgets out there that will make your favorite officer's job easier, or at least a little more comfortable. Every cop needs a good knife. In fact, most officers appreciate knives more than firearms. 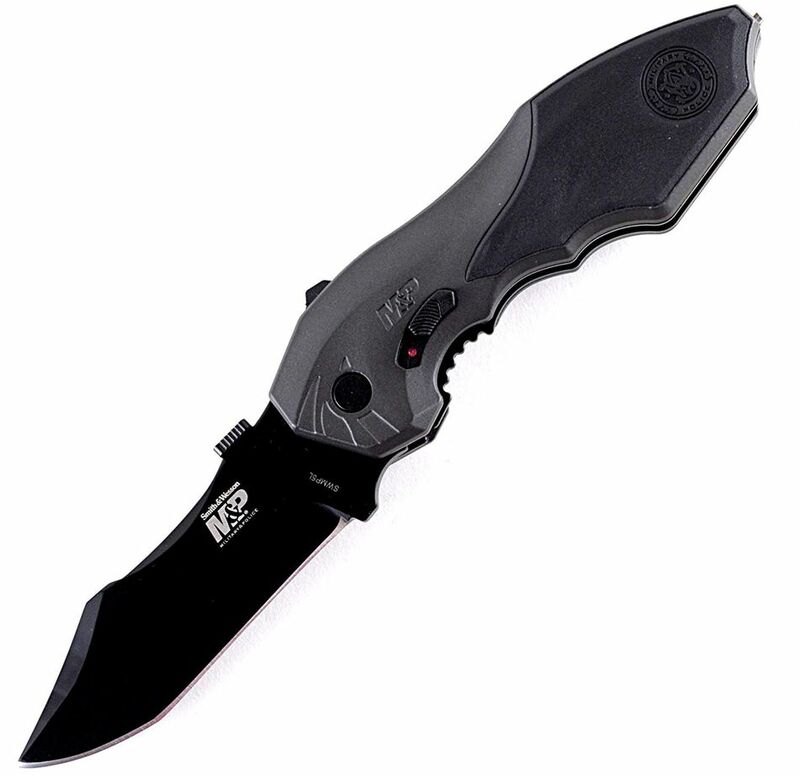 A good tactical knife is an indispensable tool of the trade. Knives have plenty of practical, everyday uses in law enforcement, such as cutting crime scene tape. And a good knife will cut right through a seat belt to save a trapped motorist in an emergency situation. Look for folding knives with serrated blades. You can even find knives with built-in seat belt-cutters and window punches—a great all-in-one tool for day-to-day police work. A police officer's patrol car is his office. And just like any office, it can get messy and cluttered really fast if it's not properly organized. A good officer will be concerned about how his car looks. It's an extension of his professionalism. He'll want to have access to the stuff he needs to do his job: traffic citations, arrest affidavits, policy manuals, flashlights, extra cuffs, and ammunition magazines. All of this has to go somewhere—preferably someplace where it's easy to find and access. A good seat organizer will have a place for everything so your favorite cop can grab it quickly when he needs it. Ask anyone who has ever worn body armor in the summer and they'll tell you it's hot—really, really hot. The sweat builds up and the vest and uniform can get very uncomfortable very quickly. The Cool Cop Body Armor Air Conditioning system provides fast relief with a hose contraption that channels cool air from the patrol car's AC and sends it under the officer's vest while he's sitting in his car. There's even a Cool K-9 system for your favorite K-9 officer and his partner on paws. It's no secret that cops love their coffee. In fact, that popular police stereotype about cops and doughnut shops was never about the doughnuts. It was about where to get a good cup of coffee. Sometimes an officer's duties take her away from her beloved cup o' joe prematurely, leaving it to get cold. A good electric travel mug can fix that for your favorite cop by keeping her java nice and hot throughout her shift. It will be ready for her to take a satisfying sip whenever she needs it. There's an old joke that says a good police officer never gets wet. If that were true, there would be a lot of bad officers running around on the streets. Police work doesn't stop when the weather gets a little dicey. In fact, when the rain hits, so do traffic crashes. This means more paperwork and more mess, at least without the right pen and paper. Waterproof pen and paper sets can help your favorite cop jot down the information he needs no matter what the weather. Unfortunately, handcuffs are a huge part of any cop's job. Police departments issue cuffs to their officers, but no cop would turn down another good set of handcuffs. And hinge cuffs add another layer of safety that the standard-issue chain-and-swivel cuffs don't offer. Hinge cuffs make it harder for prisoners to maneuver their hands, so they can't get them in front of them. This makes escape that much more difficult. If the officer makes a lot of arrests, she'll really appreciate a nice set of hinge cuffs to add to her duty belt. Any handcuffs you purchase will come with a set of keys, but standard-issue handcuff keys can easily be lost or misplaced. They can also be difficult to fish out of your pocket when you need them the most. A nice, large key, especially one that can be carried in your officer's breast pocket like a pen, is a must-have for a high-activity officer. The ability to get to his handcuff key quickly when he's trying to cuff someone who is less than accommodating will be greatly appreciated. Searching people is part of an officer's job, whether it's during an arrest or a stop-and-frisk. It's rarely a pleasant experience, and it can be made much less so by the grooming standards—or lack of standards—of some suspects. This isn't even to mention the grime and disarray found in some vehicles. Add to that the hazards associated with searching people and cars due to the possibility of needles and other objects that can hurt an officer, along with avoiding contaminating evidence with fingerprints. You can see how important a good set of search gloves can be. The ability to communicate with the citizens she serves can be indispensable if your officer works in a ​culturally diverse area. Speaking another language isn't a requirement for the job, but it sure can make the job much easier. Plenty of software programs can help officers learn a language quickly, and their ability to speak a second language can make them more marketable should they want to seek another career, such as a federal law enforcement job. A cop is a cop 24 hours a day. The job doesn't necessarily stop just because his shift is over. A lot of officers carry their duty weapons with them wherever they go, even when they're off duty, so they're ready to take action whenever necessary. But they don't like to advertise that fact. Off-duty and plainclothes cops appreciate ways to carry their weapons discretely. Concealed carry clothing offers just that ability, with secret pockets and holsters sewn right into the shirts and pants to make carrying off duty practical and comfortable. Even those who aren't police officers know that sinking feeling when their expensive phones slip from their grasp and hit the concrete, screens shattering. It's more like to happen to a cop, however, given the pace and events of the average day on the job. You can prevent this disaster with the right case. Even if the phone wasn't expensive, you don't want her to be out of communication until her phone can be replaced. Good cases can be waterproof, dustproof, or shatterproof these days—or all three. Cops carry a lot of gear, and they want it at the ready. Whether it's equipment he must secure in his home or in the trunk of his car when he's off duty. The ability to make his equipment more portable is a must for the active patrol officer. Tactical duty gear bags have compartments for just about everything an officer might need to get through a day's work, and they can make starting and ending a shift—or swapping cars—a breeze. Yes, it will happen at some point. Your police officer will be jarred from sleep to respond to an emergency, not in five minutes but five minutes ago. Groping around her home to find keys, cellphone, and other necessary odds and ends can eat up very valuable time. A simple bedside organizer can take care of that problem. She can close her eyes knowing that everything she might need to get out the door in a hurry is right there within easy reach on the bedside table. This one has nothing to do with the job, but law enforcement is a stressful career. Between the dangers of fatigue and the possibility that law enforcement jobs can lead to poor health, your favorite neighborhood police officer has to find a way to unwind. It doesn't necessarily have to be golf. One of the best things you can do for that special someone in your life who happens to be a cop is to encourage him to find a hobby outside of work. Help him find an enjoyable way to shed the stress and the rigors of the job. No matter what you decide to give your favorite police officer, he needs your love and support the most. His hours are long and his days are tough, but knowing that he has people out there who appreciate what he does can help make the job easier. If you can give nothing else, be sure to give your police officer your thanks.